The selected student intern will work with our Education Coordinator and the Exhibit Facilitator to review, repair, maintain and develop new concepts related to the Science Factory mission. Aid and contribute in the designing and building of small activity/demonstration kits and or large equipment for use by elementary or middle school students during educational programming that is based on STEM topics (Science, Technology, Engineering and Math). Research and test new ideas for technology/engineering/physics projects for students. Projects must involve a hands-on, problem solving concept that also promotes creative solutions. Make inspections of all existing exhibits, and make or recommend the necessary repairs to bring them up to 100% operating standards. Work with mentor to make all the necessary adjustments and repairs and learn how to maintain the existing exhibits. Junior/Senior year student in Technology Education, Technology Field or Engineering background. Must be mechanically inclined and familiar with wood working machinery, specifically table saw, band saw, drill press and assorted hand tools. Internship Program, Lancaster Science Factory, 454 New Holland Avenue, Lancaster, PA 17602. 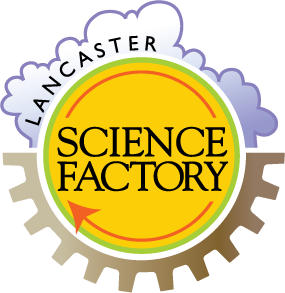 The Lancaster Science Factory Expands, Offers New Exhibits and Youth Maker Space! Closed Mondays Labor Day through Memorial Day unless otherwise advertised. Free parking is available in the lot across the street! Please enter your email address to be notified about our upcoming news and events!